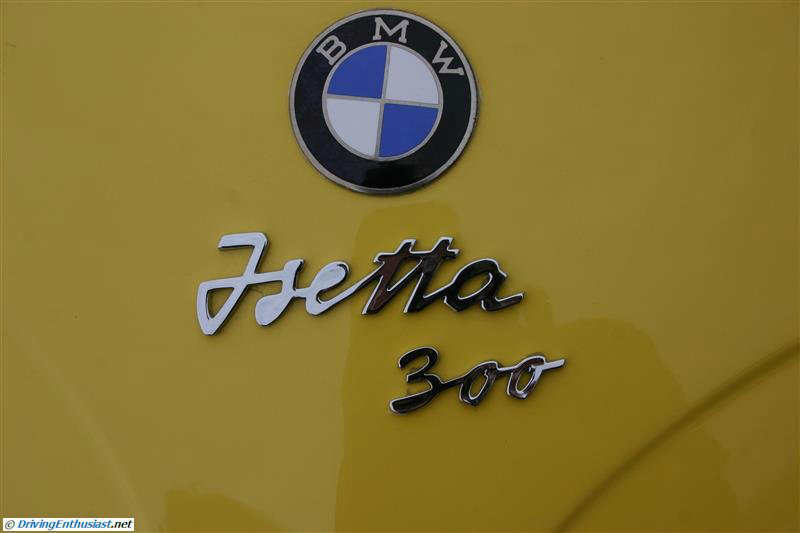 BMW was not always the ultra-successful enthusiast-oriented company that we know today, but instead had a far more humble beginning that most BMW owners are totally unaware of. In the early 1950s, BMW was in serious financial difficulty and had to make a strategic move forward to save the company, which as an armament maker in World War II had been literally wiped out. Messerschmitt and Heinkel, former aircraft manufacturers, had also been all but destroyed in the war and were having a moderate success building ultra-small economy cars. 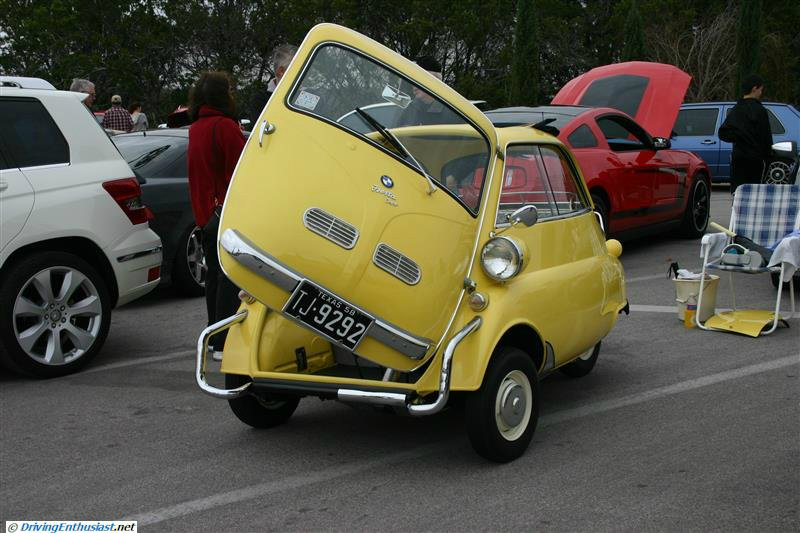 To get the company on an even footing, BMW decided to go into the micro-car business by licensing the Iso Isetta Italy. 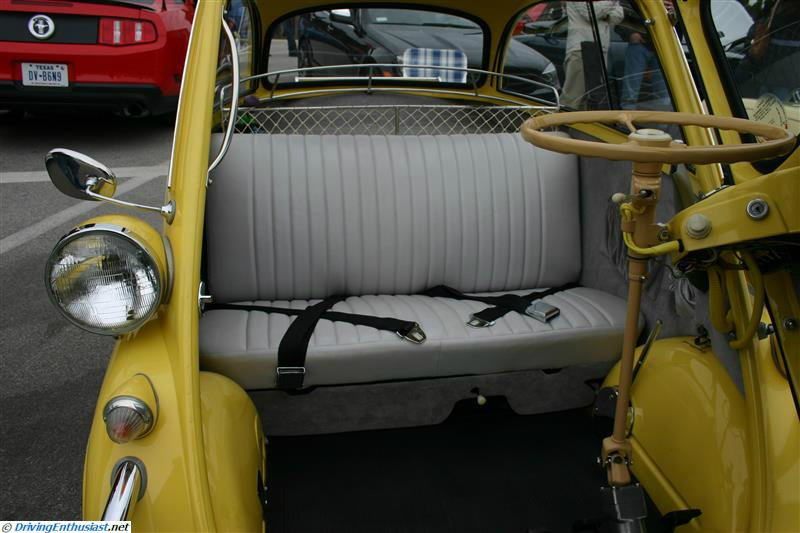 The Isetta was designed in Italy by Iso spA and was built across Western Europe starting in 1952. 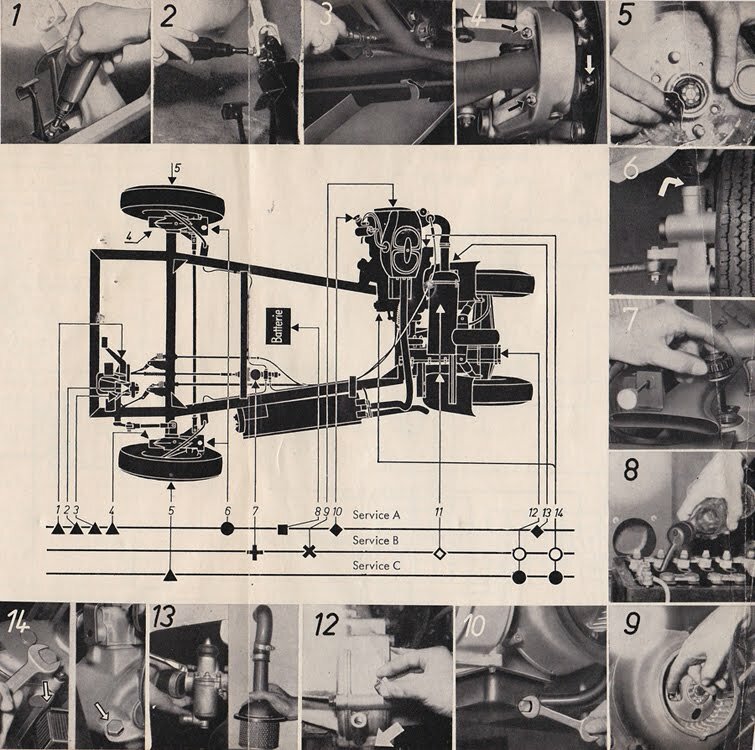 Europe was recovering from the ravages of World War II, and what was needed most as the separate economies struggled was a small and economical car. 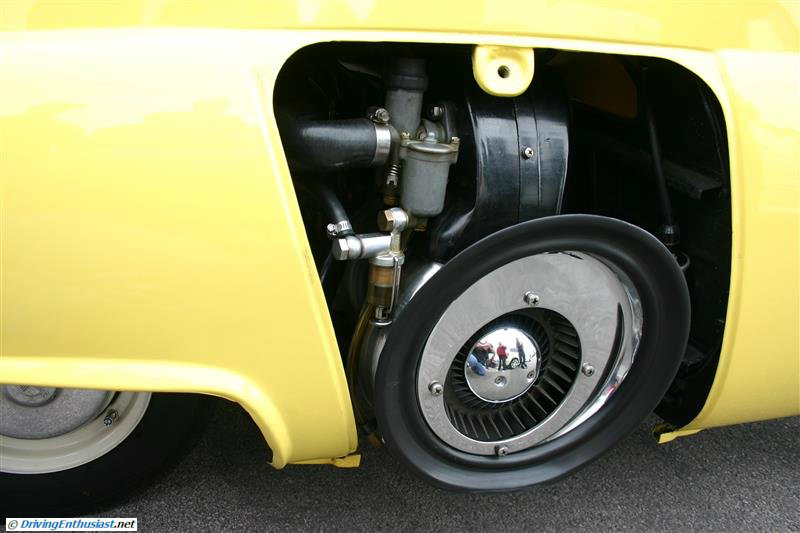 Emphasis on small and economical: the rear engine/rear-wheel drive 1 cylinder 1-stroke gasoline Isetta was only 90 inches long. 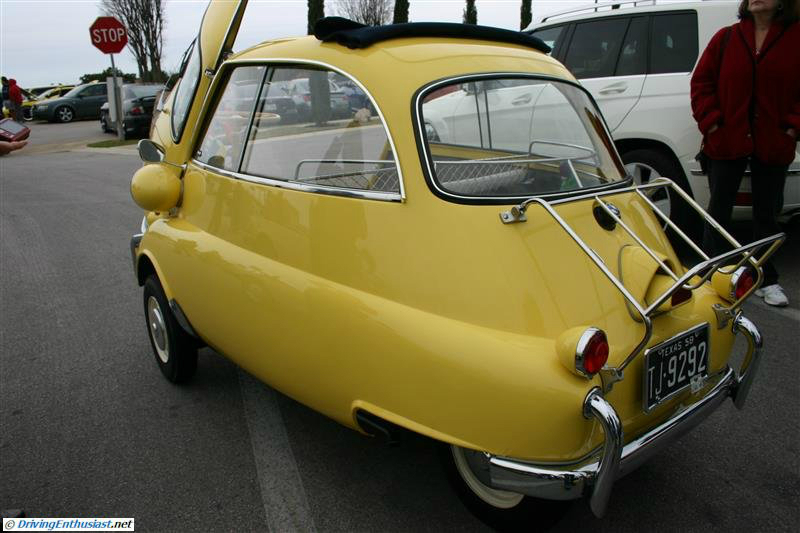 The Isetta was affectionately known as the “bubble car” because of its shape. 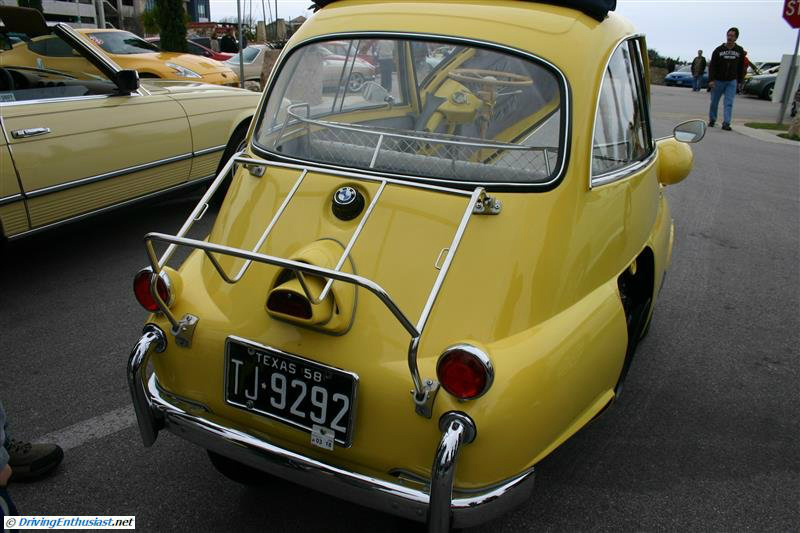 BMW licensed the Isetta design, reworked it very slightly from the original for 1955, and changed the engine to a 4-stroke 250cc motorcycle engine. The basic car would stay in production thru 1962. 161,360 BMW Isettas were produced from 1955 thru 1962, in three models: 200, 300, and 600 (4-door, 4 seats, and the introduction of the BMW semi-trailing arm independent suspension that we still know today). The original 250cc models could be operated with only a motorcycle license until 1956, when the West German Federal government changed the laws. 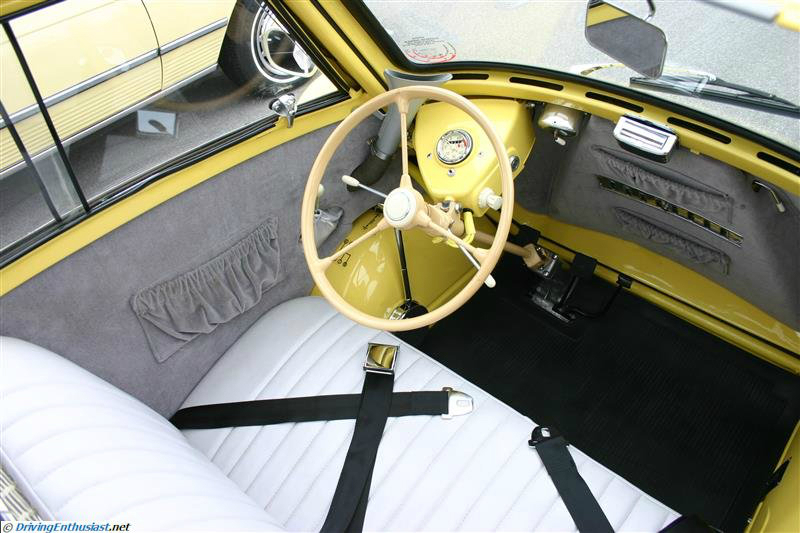 Today’s example is a 1958 model, a second-generation car that saw the side windows redesigned and a slightly larger 300cc engine used. With a 7:1 compression ration, the engine now produced 13 HP with a matching 13 ft-lb of torque. The top end was only 53 MPH. 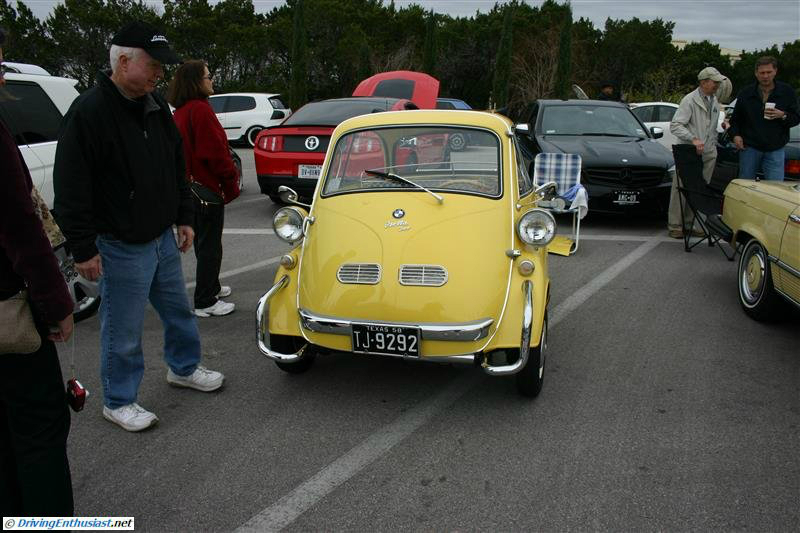 We were very pleasantly surprised to find this Isetta at the Austin Cars and Coffee event in February 2012. We’d seen two Isettas outside of Austin before, and immediately recognized the egg-shaped car. This is truly a fascinating car, with all sorts of intelligent and clever features to examine in detail. 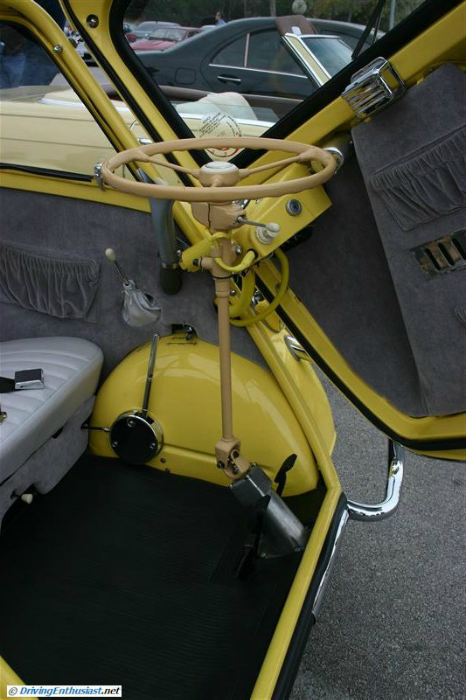 The most obvious feature of the Isetta line is the single front-opening door. 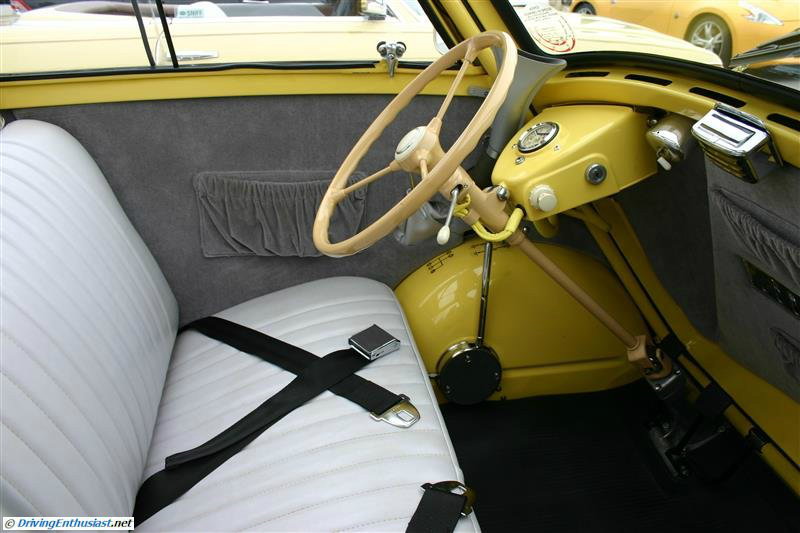 Note the hinged steering column, which swings to the side with the door (you didn’t think that Ford invented the swing-away steering column, did you?). The seatbelts in this example were added by the owners, who in the spirit of Cars and Coffee were gracious enough to show us around their car. Yes, that is the familiar BMW roundel. The roundel evolved form the original Rapp Motorenwerke logo, and the blue and white colors reflect the flag of Bavaria. Most BMW enthusiasts will claim that the blue and white center reflects a spinning aircraft propeller, but that was not the design and was only the suggested by a late-50s advertising campaign. The door hinges and the controls are on the left, and the weight of the driver balances the rear engine mounted on the right. A version built for Britain flips the hinges and controls over to the right side, but of course the engine remained in the right side as well and required a balancing weight to be added on the left. The chrome bumpers, the tubes and the bar on the door, were an option. 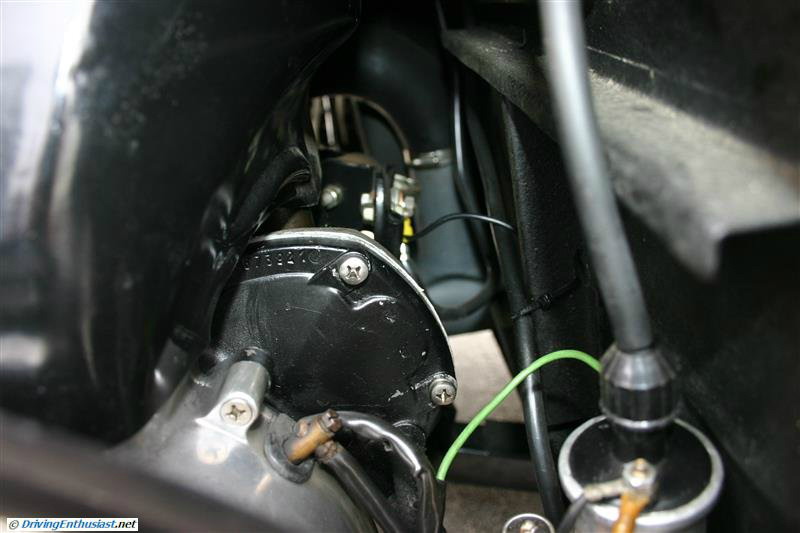 Detail of the steering column. Note the pivot point, which allows the column to move with the door. Note the shifter in the gray boot, on the side of the car, for the 4-speed transmission. 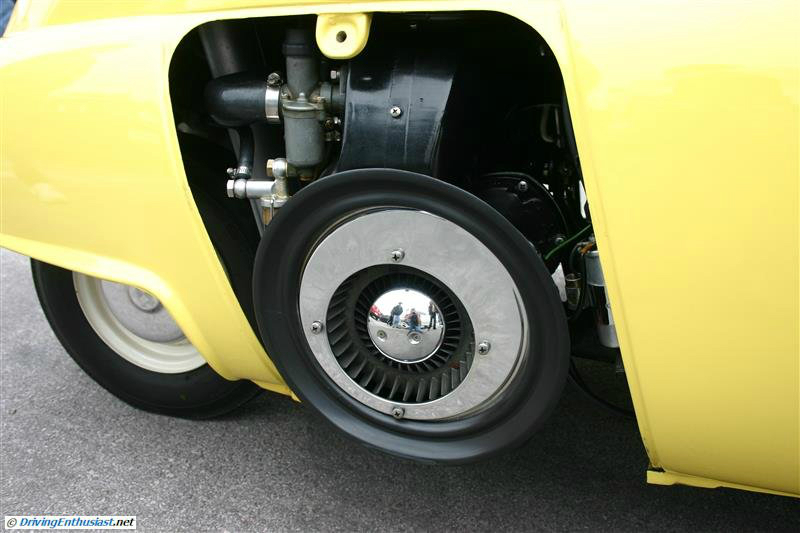 4-speeds were unusual then, but this allowed the diminutive engine to have some greater flexibility. 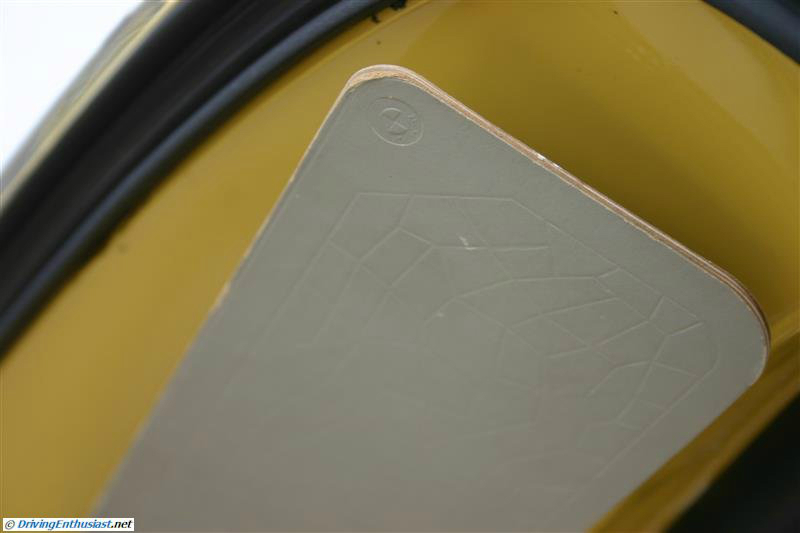 The vertical silver bar adjusts the heater, which is located under the seat. Note the decal on the front inner fender. Just above that is the choke. 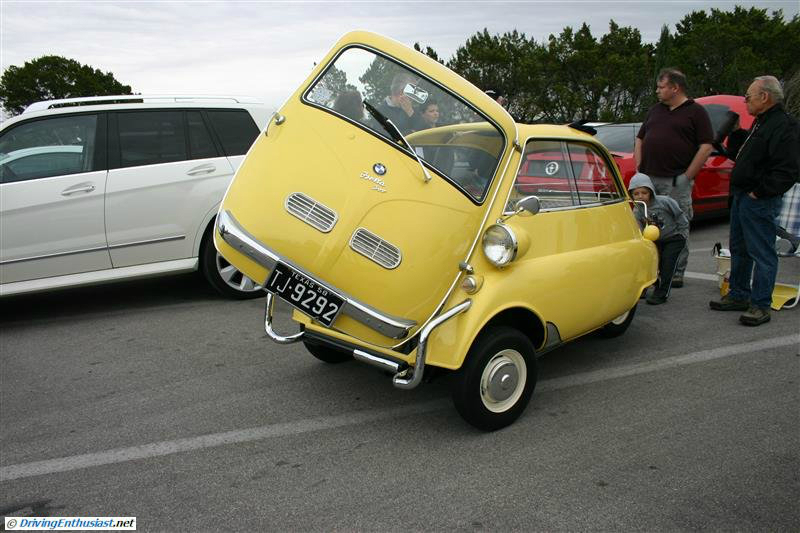 The Isetta is a 4-wheel car (3-wheel cars produced in Britain starting in the fifties were an attempt to circumvent taxes). 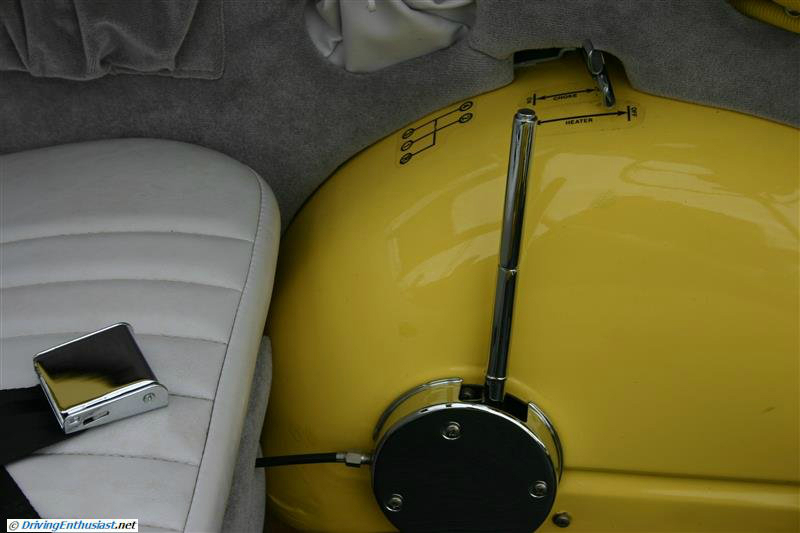 In the back we find the gas filler and the optional luggage rack. Note the opening on the right for the engine. The left side is smooth. Moving around to the front again, we see a grill on the front door. This was an option, with a moving vent behind it, to provide fresh air flow to the driver and passenger. 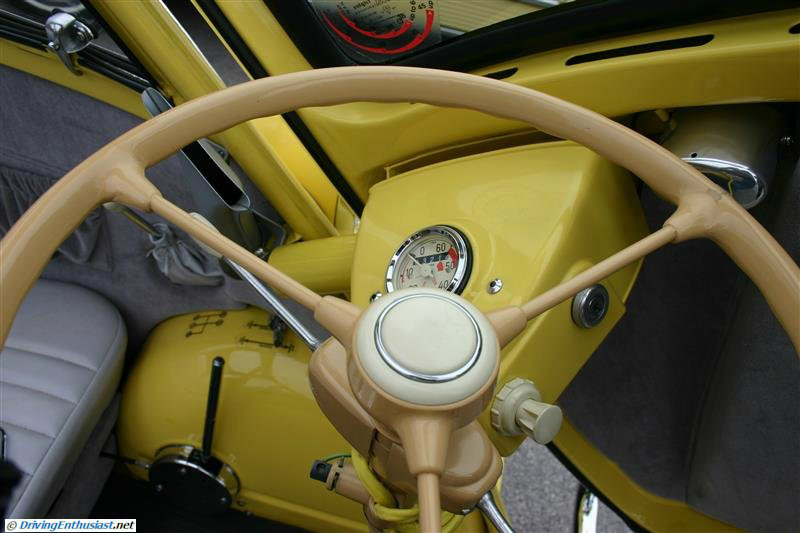 Steering wheel and 60-MPH speedometer. Sun visors, made from cardboard. Note the roundel shape pressed into the corner. 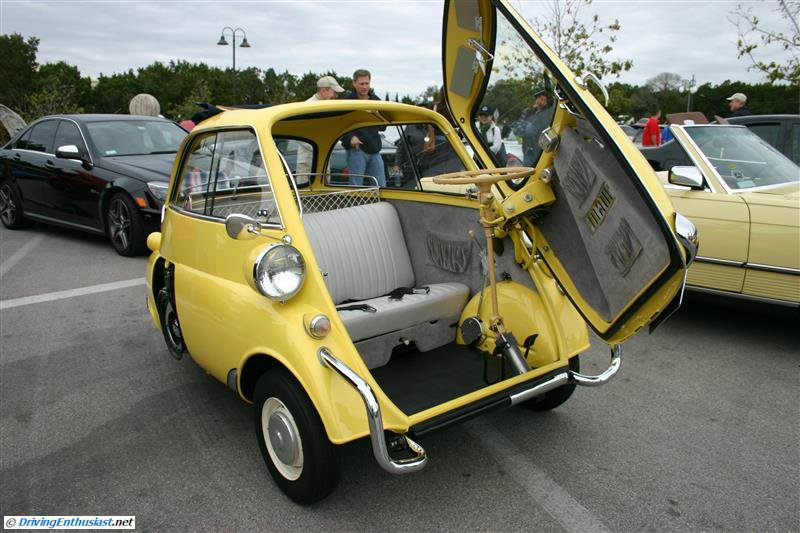 The Isetta was a wide car, 54″, designed for two and undoubtedly often holding two adults and a child. Door closed. Note the door handle on the left side. Also note the high-mounted headlamps, undoubtedly providing excellent illumination. Door closed, view thru the right side sliding window. Door closed, view thru the optional sliding cloth sunroof. 298cc engine, air-cooled, 13 HP. A cover is normally provided here, but wasn’t present today. We would like to see this car on a lift in order to examine the drivetrain. A chassis diagram detailed the underside can be seen here.